Unveiling for the end of the year the new Mastenbroek CT/12 crawler truck with Volvo Penta EU Stage 4 engine. The 160kw machine offers all the features of the previous series machine but with the important added bonus of achieving Stage 4 Final emissions standard. With Volvo Penta opting for selective catalytic reduction (SCR) technology, this system performs without regeneration or a diesel particulate filter making it a simpler, more versatile and a less costly option for our customers. 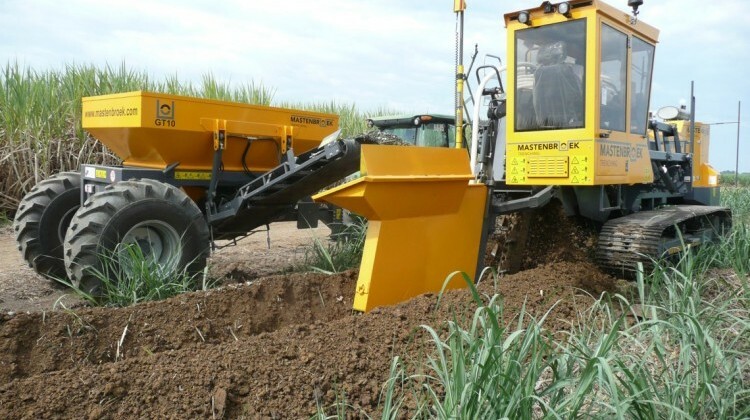 The Mastenbroek equipment that left the UK bound for South America in June started work on the sugar cane plantation at the beginning of September. 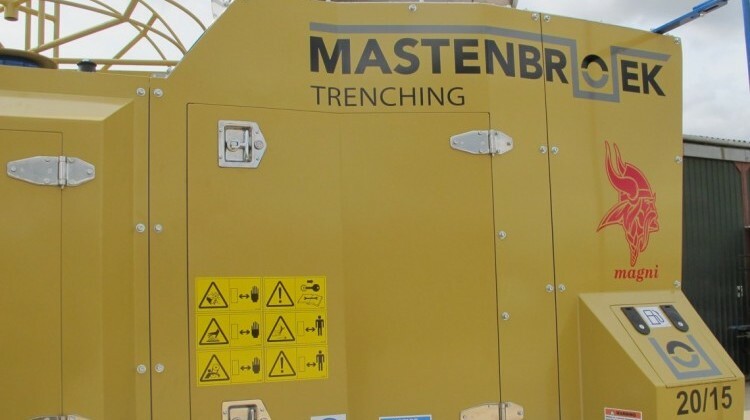 Customer feedback is extremely positive the only trouble they have had is the drainage pipe supplier is struggling to keep up with demand as the Mastenbroek trencher is laying it so fast. Collyer drainage have taken delivery of their new Mastenbroek 20/15 trencher. The 305hp machine with customer requirements including manually braked pipe reels, finished in customer colours and with optional Viking head log it joins their fleet of Mastenbroek machinery. 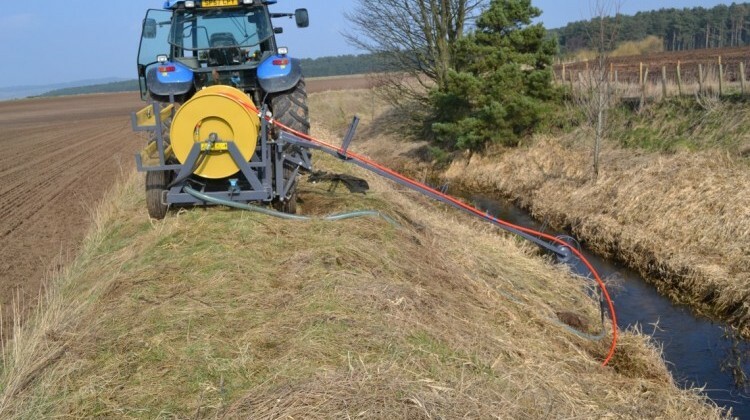 Seen here working on a farm drainage project in East Anglia. The machine was supplied with the latest full Trimble GPS machine control. The latest machines off production are now ready for shipment to South America. A 20/15 drainage trencher with machine side tilt and full GPS machine control. Two tractor towed GT10 backfill trailers with a hopper capacity of almost 5 cubic metres and a P15 high pressure drain jetter are set to start work on a large scale sugar cane plantation drainage project soon. 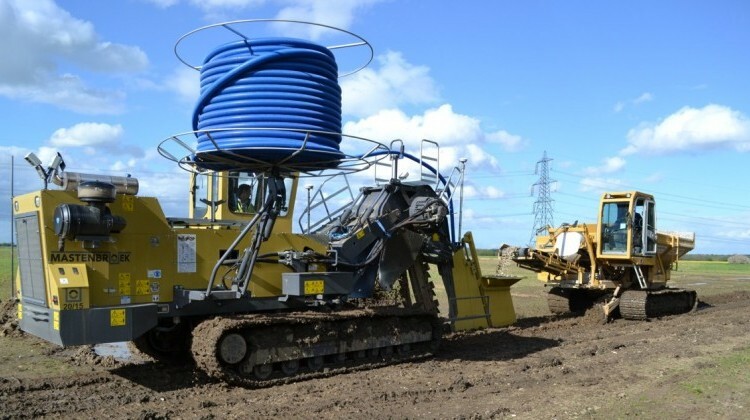 Drainage system flushing is an important part of maintaining a field drainage system. So far this year we have supplied several Mastenbroek P-15 high pressure flushing units to not only contractors but also farmers in the UK and overseas. 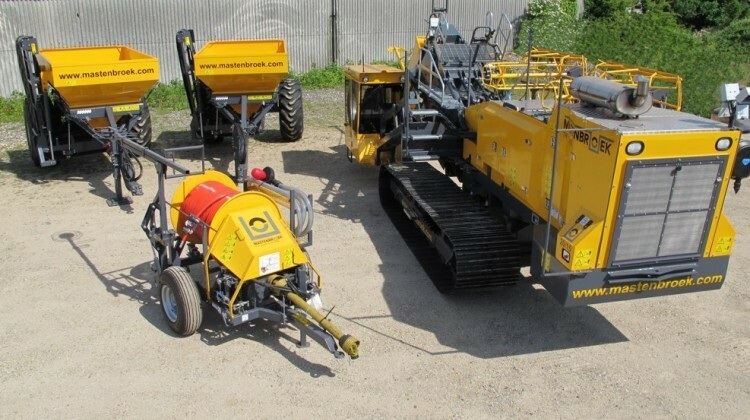 Sweetings Drainage have taken delivery of their new Mastenbroek 20/15 trencher. The 305hp power machine with customer requirements of a side mounted elevating cabin and jumbo pipe reel carrier joins their fleet of Mastenbroek machinery. Seen here working in tandem with their Mastenbroek CT12 crawler truck. The machine was supplied with the latest full Trimble GPS machine control.